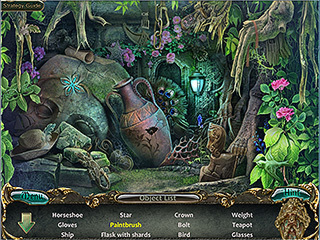 The hidden object puzzle adventure genre fans are probably familiar with all kinds of vilains - human, supernatural human, dead, spirits, plants, animals - but a substance... that's something new! Phenomenon: Outcome Collector's Edition is a wonderful adventure in which you save the world. The game play is a bit challenging here. The hidden object scenes are to be played twice. You find out that a medallion that you had for years began to show some strange activity. It actually takes you to a mysterious island where you learn that the whole world is in danger. You find a strange plasma dangerous not just for the island. You need to find a missing group of researchers too to be able to stop the plasma from spreading. Visuals are not as stunning as some that you can see these days but, never the less, they are absolutely fine - colorful and sharp. The same goes for the sounds. The game play is a bit challenging here. 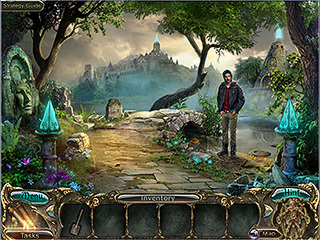 The hidden object scenes are to be played twice. You don't have to come back to the same locations, but rather you are transported to the ame location in a different time, for example, and replay the scene. The HOS are pretty standard with a slight interaction. The puzzles and mini-games are fun and creative. Don't miss out all the achievements and collectibles althrough the game. This a great game for the HOPA and sci-fi fans. The story and the challenging and entertaining puzzles will make you stay there for a while. This is Phenomenon: Outcome review. Download this game here.